Sanity Claws Radio: Bringing the Steam Model to Consoles! 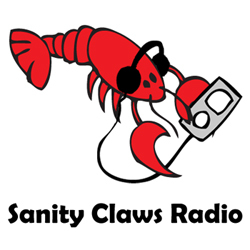 The guys talk about the what game console manufacturers need to do in order to bring a Steam style service to consoles on this week’s episode of Sanity Claws Radio! Scotty, Steve, Ben, Badger, and Jon sit down to hypothesize what needs to be done to bring the popular Steam model of game retail to consoles. The guys ponder how it can be done, who can do it, and why Microsoft’s attempt at it failed so badly. Also, Badger and Ben get into more Borderlands, Steve goes Free to Play on his 360, Scotty finds problems with Defiance, and Jon dives back into the Walking Dead. And finally, we wrap up our show with a anatomically disturbing round of I Can Top That! Join in please! Also, we are currently running our Super Shameless Summer Promotion of Shame 2013: The Great DemonLobster fanfic contest! For more details on the contest please visit our official contest page. Good luck to everyone who enters!